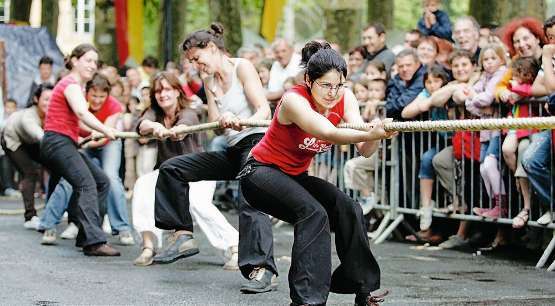 La Ringueta, an occitan festival celebrating the traditional games of the past will take place this year as usual on Whit Sunday on the 7th and 8th June 2014 in Sarlat. During those two days, under the occitan flags, events of address, contests of strength, introduction to the traditional dances as well as many free games will take place. Traditional food and music will complement the program of of this friendly and familial celebration. Hope to see you there!